OPI has just launched their newest limited edition nail collection and this time, they’ve teamed up with fashion and music icon, Gwen Stefani! I’ve been a fan of Gwen’s since I was in high school and always admired her unique style in both music and fashion. Over & Over A-Gwen: A bold red lacquer with a creme gloss finish that pays homage to Gwen’s signature red lipstick. Love.Angel.Music.Baby: A light gold lacquer with a little bit of sparkle. It features the new, semi-matte satin finish. No top coat required! 4 in the Morning: Black lacquer featuring the new semi-matte satin finish. Push and Shove: A bold Chrome lacquer that can be worn without a top coat, but requires a special complimentary base coat called Lay Down that Base. Hey Baby: Vibrant hot pink lacquer with a creme gloss finish. I Sing in Color: A dark burgundy/brown shade with a creme gloss finish. In True Stefani Fashion: A sparkly silver lacquer with a glittery finish. Gwen’s signature red shade, Over & Over A-Gwen, is also available in a boxed set that includes Swarovski black crystals and silver, gold and pewter studs in bar, square, diamond and circle shapes. It also includes nail glue so you can create your own fun nail art designs. 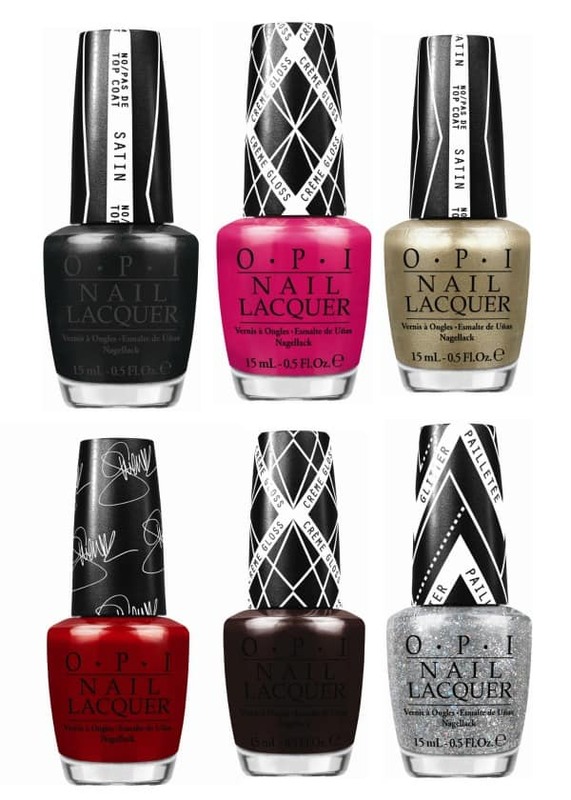 Gwen Stefani by OPI nail lacquers are now in professional salons and spas across Canada and have a SRP of $10.95 each. The Over & Over A-Gwen boxed set has an SRP of $18.95. Which colour is your favourite? I’ll be sharing mine in my upcoming review! “I’m not Really a Waitress”!